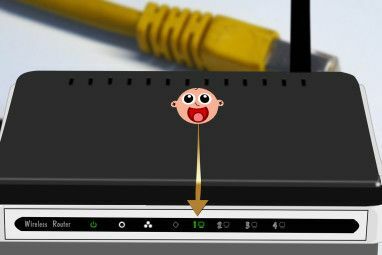 There’s a newly-revived Linux parental control utility that controls the access to the computer account itself, not just Internet access. If you want your kid to stay off the computer when you tell them to, you need Timekpr. Historically, parental controls for Linux were sometimes pretty lackluster, and even the better ones often only restricted access to the Internet such as Linux Mint’s Domain Blocker Is Linux Mint 17 "Qiana" The Ubuntu Killer? Is Linux Mint 17 "Qiana" The Ubuntu Killer? The latest version of Linux Mint, the 17th release codenamed "Qiana", is out! It's a great alternative for people leaving Windows as well as those who just don't quite like Ubuntu. Read More . 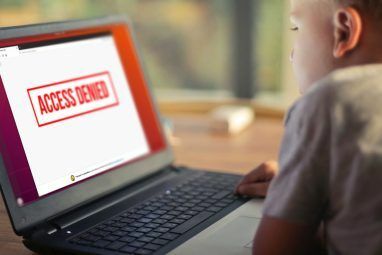 Even parental controls for Windows tend to just focus on restricting Internet access Qustodio: Free Parental Control Software For Internet Access [Windows] Qustodio: Free Parental Control Software For Internet Access [Windows] Having parental control over the Internet is an extremely difficult undertaking. You can try tampering with your operating system’s host file, or you can fiddle with browser extensions. Just a few months ago, I wrote... Read More . Timekpr is a parental control application which directly controls access to your child’s computer account. 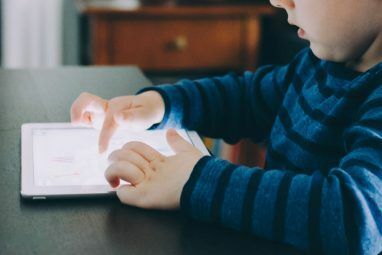 While I find that parental control tools that limit Internet access are good to have, I believe full control is more important. Otherwise, your child can still be on the computer for as long as he or she wants, just without Internet access. With Timekpr, you can block them out of their account so they can do absolutely nothing on the computer. Configuring Timekpr is very easy. First, it only works for “standard” accounts, meaning those that aren’t considered administrators and thereby have root access through the use of sudo. With that in mind, there are only two tabs in Timekpr for each account, and that’s all you really need. The first tab named “Status” is an overview of the selected account, which shows whether the user is allowed to log in all day long, and whether they’re limited by access duration or time frame, and whether the account is completely locked. It also shows how much time the user has left if they’re restricted by access duration. You’ll also see several buttons to make quick changes to the selected account. The “Clear all restrictions” button will simply reset all restrictions and is the quickest way to essentially turn off the parental controls for that account. The “Reset time” button allows you to return the “Time left” value back to what it originally was for the day, which you can use in case something went wrong or you had to use the account to set something up. The “Add Time Reward/Penalty” can be used to reward or punish your child by adding to or removing from the amount of time that he or she gets that day. The “Bypass for today” button allows you to turn off the time frame limitations for the day, and the “Lock” button allows you to lock the account so that they cannot log in at all even if there is time remaining and it’s within the time frame. The “Limits & Boundaries” tab is where you can actually set the access duration and time frame limitations. Configuring here is very simple. All you need to do is click on the checkbox next to each limitation that you want to enable, and then choose your desired values. You can also choose to configure on a per-day basis rather than have the same values for all days, which you’ll need to use if you want to give your child more time or a larger time frame on the weekends. Tip: For days where you want to allow unlimited usage, just set the time frame from 0 to 24 and the access duration to 1440 minutes (24 hours times 60 minutes). Then, hit Apply and you’re all set. It will add a PPA What Is An Ubuntu PPA & Why Would I Want To Use One? [Technology Explained] What Is An Ubuntu PPA & Why Would I Want To Use One? [Technology Explained] Read More with the program, update your package lists, and then choose to install Timekpr. From there, just use it as described. I’m glad that Timekpr exists, because there really was a lack of parental control tools that did something other than limit the Internet in some form. Best of all, you can set the rules and then make temporary modifications depending on what you’d like to do that day. It’s easy, straightforward, and it works very well. What parental control features would you like to see in a parental control utility? If you’ve enforced parental controls on Linux using something other than a utility, what did you do instead? Let us know in the comments! This sounds good. But what I really need is a parental control that I can access and manage from another computer than the one my kids are using. Can this be done with Timekpr? I like Qustodio for windows but it doesn't work with Linux. Time restrictions for internet access, apart from account access would be nice. Time restrictions for games, again apart from account and internet access, too. I was recently asked by someone about a replacement for XP, to which I said Linux Mint 17. She then asked about parental control, and I said that internet browsers have that. I just learned about this Timekpr minutes ago by reading this article. I think that this is great, and a feature that could capture the interest of people who might be looking for either an alternative to Windows, or a way to breath new life into an older XP machine. But my concern about Linux in general with regards to the average user is that most PC owners don't have a clue as to how to manage their PC's. Windows usually comes pre-installed, which gets them up and running with just enough ability to be dangerous. I've had to clean up or fix MANY PC's because all of them were a total mess. So the issue is one of "system administration". Most non-technical windows users will never use a terminal. DOS is either some mispelled word or a government organization. More specifically, asking that grandma manage user accounts is a bit much to ask. I'm only recently getting back into Linux, so while this wouldn't be difficult for me, it's not something that I can do instantly. So, would it make sense for Timekpr to also provide a simple interface so that grandma could create user accounts, or does Timekpr already provide that feature? Thanks for the article! I'm going to try Timekpr on a public Linux machine that I have at home.